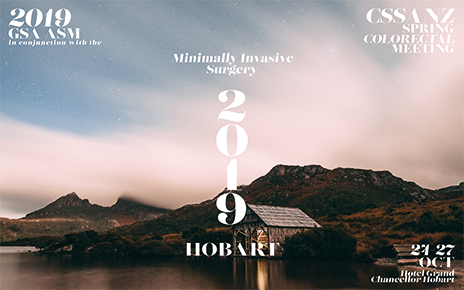 The 2019 Spring Colorectal Meeting will be a combined meeting with the General Surgeons Australia Annual Scientific Meeting. It will be held at the Grand Chancellor Hotel in Hobart, Tasmania, from Thursday 24th to Saturday 26th October 2019. CSSANZ Members are eligible for membership registration rates. Simply enter your RACS ID number at the start of the registration process.